Just Fitter has recently published a detailed blog post discussing the correlation between ketone and diabetic urine test strips. The company is a noted manufacturer of health and fitness products that help individuals lead a healthy lifestyle. Just Fitter, a health and wellness company appreciated for their top class products, has recently released an insightful health related article through their official blog. This new post shares some facts related to ketones and how ketones can be measured using diabetic urine test strips. The readers will also find out how ketones affect the overall well being of the individuals suffering from diabetes. The blog post starts by mentioning that most of diabetes patients have a very high level of ketones in their body because of their insufficient insulin level in the body. The build-up of ketones in the body may even lead to a rather dangerous condition known as ketoacidosis, if not treated on time. 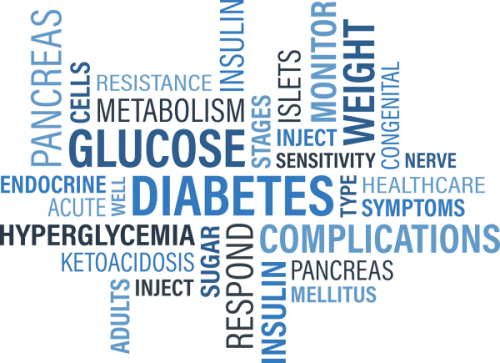 It also mentions that the individuals suffering from Type 1 diabetes, particularly the ones on SGLT-2 inhibitor drug class are at a higher risk from diabetic ketoacidosis. The article from Just Fitter defines ketones as a group of organic compounds that are generated while the body burns fat for energy synthesis. This takes place during a specific metabolic phase known as ketosis, in the absence of insulin in the body. Three types of ketones are found in the human body, viz. Acetoacetate (AcAc), 3-β-hydroxybutyrate (3HB), and acetones. According to Just Fitter, in the worst case, diabetic ketoacidosis may even lead to an emergency condition known as diabetic coma. Regular measurement and monitoring is one of the most important aspects of managing diabetes and preventing DKA. Blood ketone meters, breath testing, and urine test strips are common methods to measuring body ketone. However, urine testing strips are also popular because they are inexpensive, reasonably accurate, and convenient to use. Just Fitter recommends regular ketone measurement for all type 1 diabetes sufferers and individuals experiencing frequent thirst, abdominal pain, nausea, tiredness, and vomiting tendency. Just Fitter offers a wide range of health and wellness products via Amazon and many other popular online marketplaces. Out of all these products, ketone testing strips have gained extreme popularity in many different markets around the world. These testing strips are available in different packs, based on the needs of the users. Numerous users have mentioned that the product is quite reliable, and is an essential component of their diabetes management plan. As well as regular visits to the Healthcare Professional.